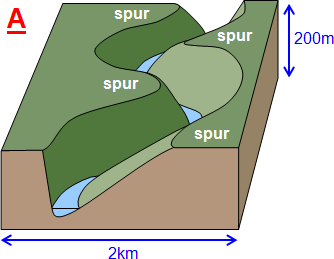 As a river flows downhill because of gravity, the shape and gradient of its channel changes. 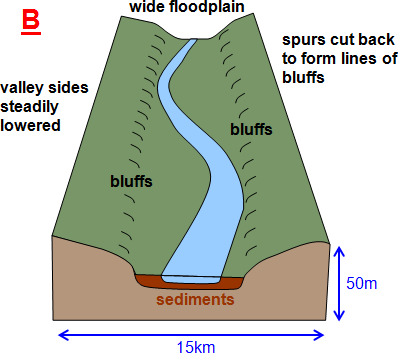 The upper part is steep and the river cuts a narrow and deep V-shaped channel. Further towards the sea, the slope is more gentle and the river has a wider channel.